We have added a wide range of structures perfectly suited to the leisure industry: from terrace canopies to branded interior sails. We have a wealth of experience in providing fabric structures for this industry and we understand that you want to find the perfect solution for your customers. We know the importance of making a good return on your investment. Our pre-designed range of interior and exterior fabric structures offer the highest quality and excellent value for money. 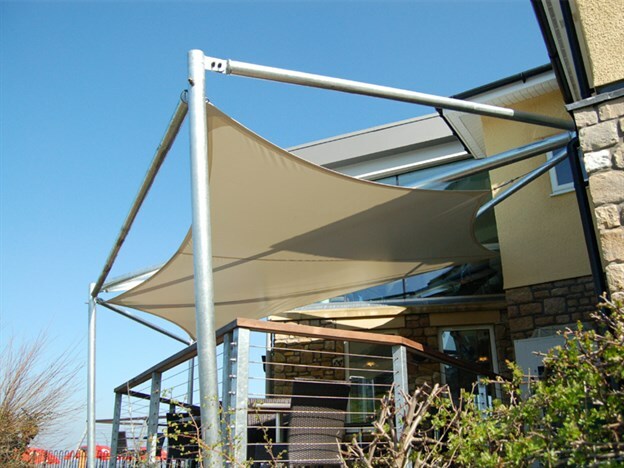 We have many options available: whether you are looking for an outdoor café or dining cover, a sheltered canopy for your smoking customers, a fabric feature, or doorway protection over your entrance, we have a solution for you. Protect your customers from the rain and shade them from the sun, create eye-catching structures to draw your customers in, use branded sails as an interesting alternative to traditional signage. 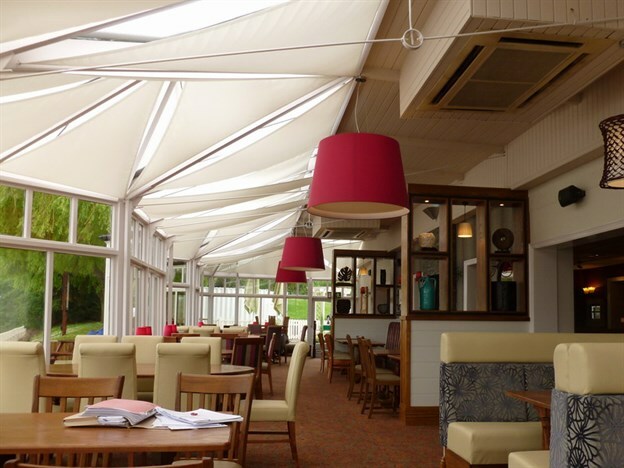 Our canopies will both enhance your pub, café or hotel, and also add protected outdoor space for many years to come. All of our pre-designed products are easy to specify and quick to install. Our exterior canopies can also be complemented by heating and lighting. Are you suffering from poor acoustics in your establishment? Our pre-designed acoustic solutions not only improve and reduce sound reverberation, but also provide an attractive fabric feature. Not seen what you're looking for? We do also offer a full bespoke service. Check out our bespoke portfolios for interior items, exterior structures and acoustic solutions, or contact us to discuss your specific project requirements.